How much strong is at least Golden Cooler then? Does defeating Goku puts him over Super Saiyan Blue Kaioken x20 (since Goku manages that technique) or since Goku was possessed that shouldnt count? Any other logic or hint or source I'm missing? Firstly, Goku in his Berserker form didn't technically "Defeat" SSJB Vegeta. Vegeta didn't really go all out or actually attempt to fight Goku. Once Cumber took control of Goku, he immediately attacked Vegeta and then went after Mai. When Fu sees Cooler, he makes a statement claiming that he was weaker than his brother and Frieza has evolved further. This triggers cooler and he ends up transforming to his Golden form and at the same time was also enraged when he began to fight Goku and overwhelm him. So it is fair to assume that he was fighting a lot more seriously. We have seen Vegeta get triggered in a similar fashion multiple times and raise his Ki even furthur when enraged and begins to overwhelm his oppoent. Some examples would be the Final Flash against Perfect Cell, Jiren and even against Toppo. Even in the anime, when Kale attains gets her Bereserker form, she effortlessly walked through SSJB Goku's Kamehameha and grabbed him with ease. Goku at this time wasn't really fighting seriously, just like Vegeta in case of this chapter. Hence, I think it is unfair to conclude Golden Cooler is superior to SSJB Vegeta. 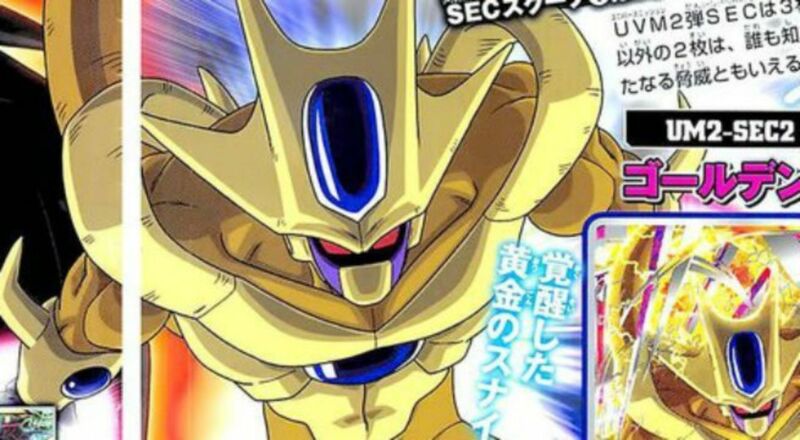 We also know that the Golden form has the stamina weakness which Freiza took time to figure out, so in theory, Cooler would also require to adapt to the transformation like Freiza did. Vegeta on the other hand has mastered Super Saiyan Blue in the manga and even managed to break past the limits of Super Saiyan Blue in the anime and ascended to a much higher form. Hence, I think it is unfair to state Golden Cooler is stronger than Vegeta just because of that one battle. I don't understand your logic at to why Golden cooler would be stronger than SSJB + KK*20 Goku on account of defeating Berserker Goku. I believe Kanba's evil power did power up Goku tremendously but not stronger than Super Saiyan Blue Goku. The transformation just made Goku very aggressive which is why he got the Upper Hand on Vegeta. Considering how Super Saiyan Blue Goku was able to defeat Xeno Goku who is supposedly recognized as the strongest Saiyan in the previous chapters of the Manga, I think it is fair to state Super Saiyan Blue Goku is definitely superior to Berserker Goku and Even Golden Cooler. Vegeta on the other hand is relative to Goku in strength and hence also stronger than Cooler. Not the answer you're looking for? Browse other questions tagged dragon-ball-heroes dragon-ball-manga or ask your own question.